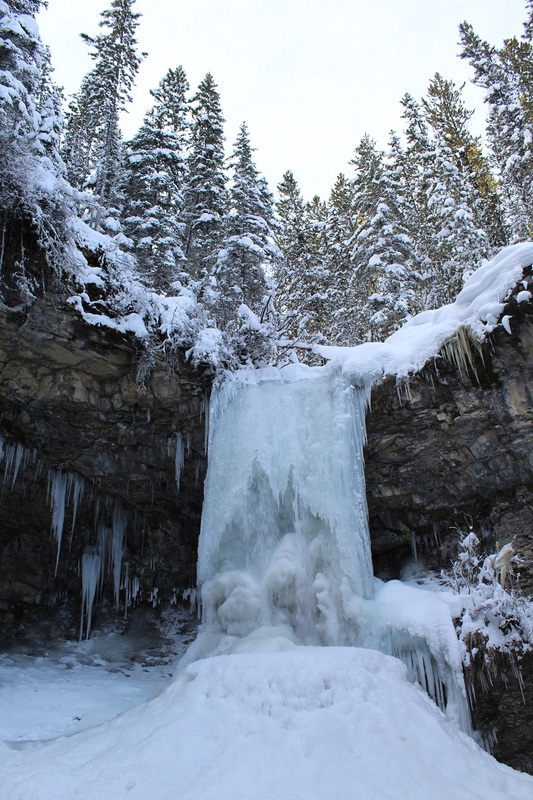 This entry was posted in Hiking, Nature, Outdoors, Photography and tagged Alberta, Calgary, Canada, Kananaskis, Rocky Mountains, Snowshoe, Sports, Troll Falls, winter. Bookmark the permalink. 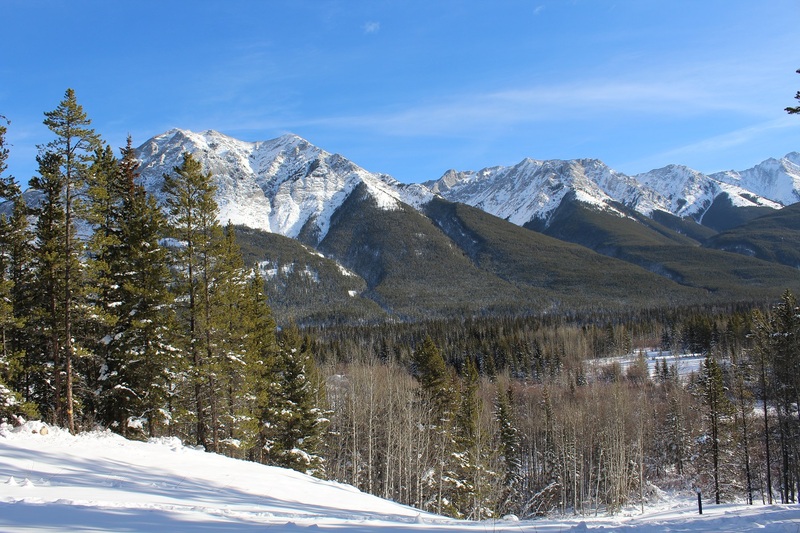 What an amazing day in the snow, I love hiking the mountain trails so I really love your beautiful photos. Thanks so much! It was such a lovely trip! Lovely photos! Hoping to get decent enough snow to get on the x-country skis soon. I hope you can get out skiing soon! So fun! Your snow pictures are gorgeous, especially for those of us that don’t get any snow or ice. It’s very different. On many Christmases we have sat outside. Thank you! The weather has been great so far! What a fantastic place to visit! I love your photos. Thank you! It was such a beautiful day – the sky was such a stunning blue and the snow was fresh! That frozen falls is really beautiful. I’ve never seen anything like that, never having been anywhere that swiftly falling/moving water would freeze…Looks like an amazing hike. I’m so glad you enjoyed the photos! It was a fun trip! Hey–you have a lot of snow! Wow! We have none yet . . . it seems very odd. 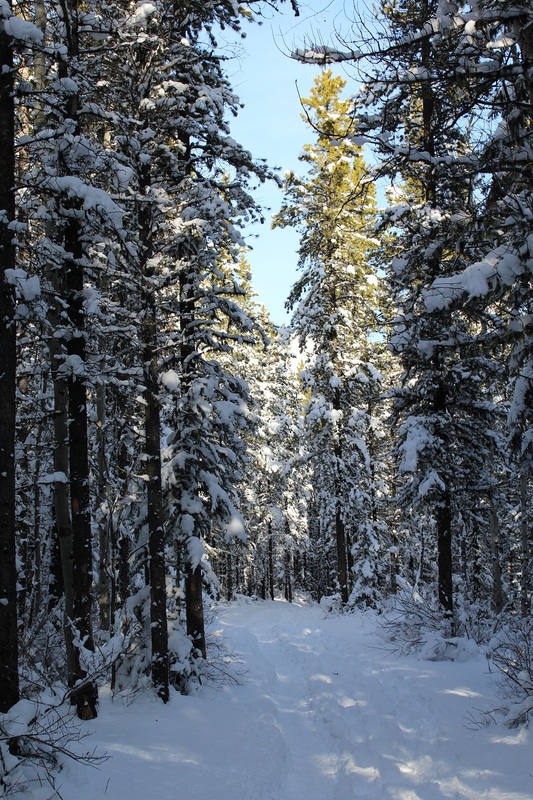 Your photos are great and the snowshoeing sounds perfect! The snow seems to be staying in the mountains so far…not much here in the city! Have you received any at all yet? It was an incredibly beautiful day! I’m so happy you liked it! It is such an interesting space – and I loved the fact that we could get so close to the falls. Definitely have to return in the summer. Vou comfort me with snow pictures! Our December is stil a colorful spring. You have certainly had very mild weather there…I’ve been enjoying all of your photos! Thank you, Cynthia! It was an amazing day! Oh my you’ve taken some beautiful winter scenes! Especially the one of the falls and looking up into the trees. Thank you! It’s like a little bowl in front of the falls, such a tight space – I thought it looked really interesting. Thank you! The scenery was amazing! Sheryl, that waterfall looks like a sculpture. Beautiful! I love that description – it truly did look like a sculpture!